Trust the industry’s original and proven Asymmetrical lift. Why go anywhere else? True asymmetrical rotated column design. 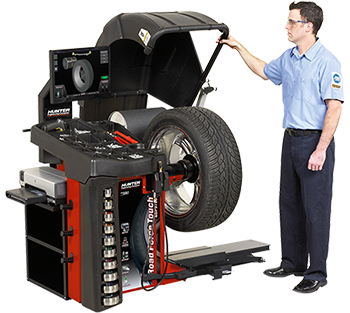 This Road Force® Elite wheel balancer detects non-balance and radial-force related problems that are often found with non-uniform tires, mounting errors, runout, and improper bead seat.The Road Force® Elite wheel balancer provides top-notch wheel balancing service and performs a Road Force® and balance faster than a traditional wheel balance. The Road Force® Elite fixes wheel vibrations that traditional wheel balancers can’t fix. Automotive Service Equipment, Sales, Service, and Installation–Specializing in Lifts, Lubrication, Compressed Air and Exhaust Extraction Systems. 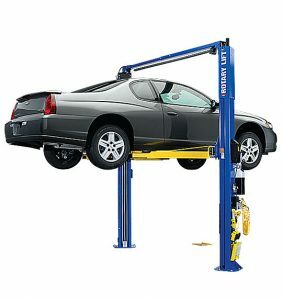 Whether you need one lift repaired or an entire shop installed, Lift Works is your best choice. The best choice for Automotive Lifts, Compressed Air, Lubrication and Exhaust extraction systems. Use financing to acquire assets that depreciate, especially when the advantages of using the asset outweigh the low monthly cost. This will free your cash to use on advertising, personnel, inventory, and other needs. It also keeps your cash and bank lines available for unseen opportunities that may arise. Ask us about Lease options that are right for you. WHICH LIFT IS FOR YOU? Just give us a call, we will be happy to discuss the options that fit your needs. © 2019 Liftworks. All Rights Reserved.